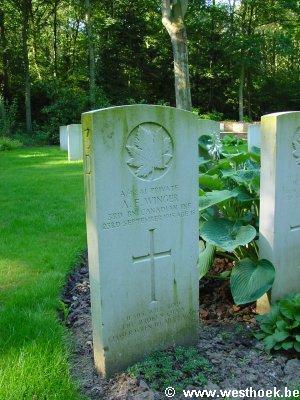 Private ARNOLD EDWARD WINGER A/4241 3rd Bn., Canadian Infantry (Central Ontario Regt.) who died on Thursday 23 September 1915. Age 18. 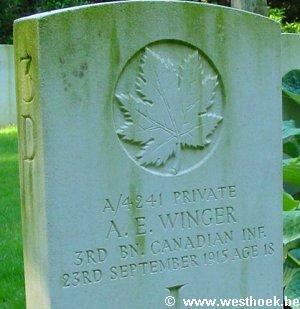 Son of Edward and Edith Jane Winger, of 28, Oliver St., Humber Bay, Ontario. 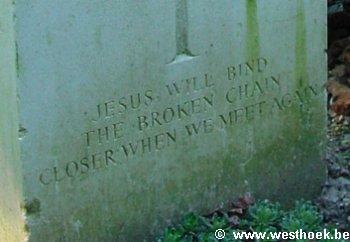 PLOEGSTEERT WOOD MILITARY CEMETERYComines-Warneton, Hainaut, Belgium Grave III. D. 1.